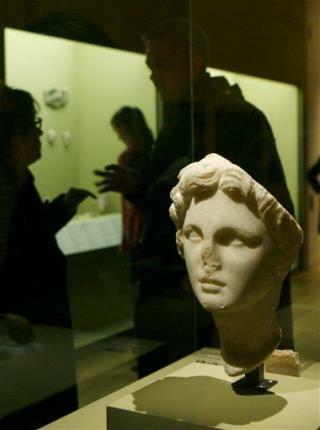 (Newser) – Alexander the Great got quite the birthday present every year, archaeologists say. They think the main road from ancient Alexandria aligned perfectly with the sun on that day, reports LiveScience. The theory, backed up by computer simulations of the sun's position in the 4th century, would explain why the layout of the city seems slightly off in some ways—the main east-west road isn't exactly parallel to the coast, for example. Geez.. and we think our politicians have huge egos! Does sound kind of neat to have your own birthday road. the city was founded in 331 b.c. it is egypts 2nd largest city. so the computer simulation of the sun's position in the 4th century is off by 700 years. back to the drawingboard. No! No, no, no, no. It was because ancient alienz .